AlphaBiolabs’ DNA prenatal test is Ireland’s most accurate non-invasive method of determining the paternity of a baby before birth. It works by analysing the baby’s DNA that is found within the mother’s bloodstream. As a non-invasive prenatal test, there is no risk to the mother or the unborn child. An invasive prenatal test involves taking embryonic fluid directly from the womb using a needle. What are the steps involved in a DNA prenatal test? Obtaining one of our non-invasive prenatal tests could not be easier. 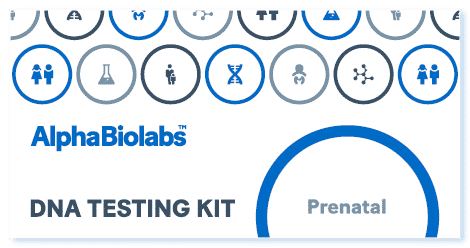 How does the prenatal test work? Our non-invasive DNA prenatal test provides the most accurate way to determine paternity before birth. It uses a state-of-the-art process which combines the latest DNA technology and unique methods of preserving the baby’s DNA, which is naturally found in the mother’s bloodstream after 8 weeks’ gestation. What exactly does non-invasive mean? One of the best ways to explain non-invasive is to look at the opposite approach: an invasive DNA paternity test. The traditional invasive prenatal paternity tests require that cells be obtained from either the amniotic fluid or the placenta. 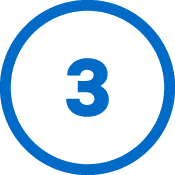 The non-invasive paternity test uses a simple blood sample from the mother and therefore does not require a needle to be inserted into the womb. We provide at least 99.9% probability of paternity where the father is confirmed as being the father. This is backed up by many third-party studies. When is the earliest I can take the paternity test? The non-invasive test can be carried out as early as 8 weeks after conception. How safe is the test? What are the risks? With our unique non-invasive prenatal paternity test, there is no risk to your baby other than the normal risk to the mother of having a blood sample taken.